‘Non-Motor Symptoms of Parkinson’s Disease’, co-authored by Professor K Ray Chaudhuri of the Institute of Psychiatry, Psychology & Neuroscience (IoPPN), has been highly commended in the Neurology category at the 2015 BMA Medical Book Awards. The textbook, now in its second edition, features contributions from leading Parkinson’s experts across the world and remains the only one of its kind. Special prizes are awarded for the BMA Student Textbook award, the BMA Illustrated Book Award and the BMA Board of Science Award for the Public Understanding of Science. The Chair of the Board of Science also makes a Chair’s Choice. These special prizes are chosen from all of the shortlisted books. 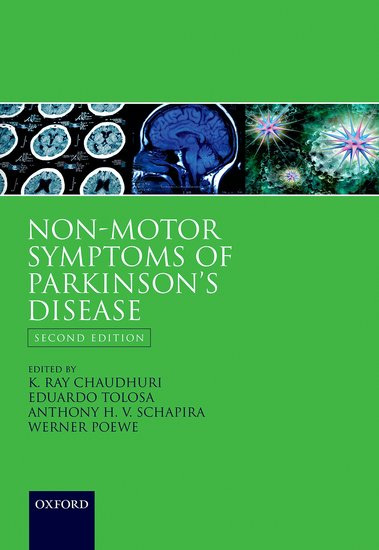 ‘Non-Motor Symptoms of Parkinson’s Disease 2nd Edition’ by K. Ray Chaudhuri, Eduardo Tolosa, Anthony H.V. Schapira, and Werner Poewe is available through Oxford University Press. Researchers at the IoPPN, led by Professor Chaudhuri, recently developed questionnaires that are used by doctors to help ensure patients with Parkinson’s get treatment for non-motor symptoms.